DermMatch colours the scalp to match your hair colour. 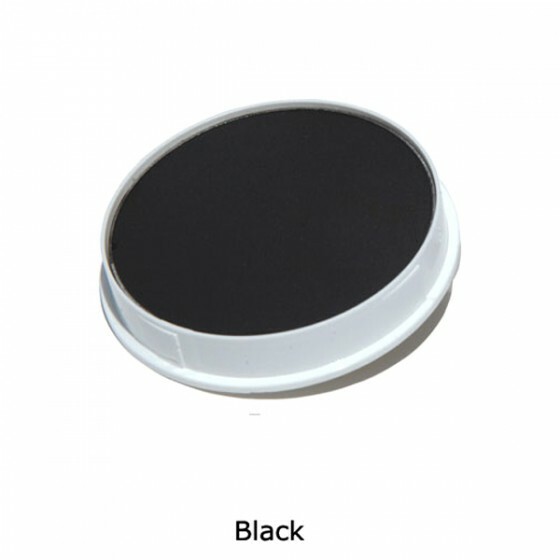 It also coats and thickens thin hairs, making them stand up and spread out for maximum fullness. No product in the world can make your hair look this thick and full. DermMatch works instantly for men and women of any skin colour, hair colour or hair type. Start with a clean, dry scalp. Dampen your applicator tip. Rub it in the container to pick up the hard-packed powdered formula. Apply directly to the scalp where there are small bald areas or areas of thin hair. 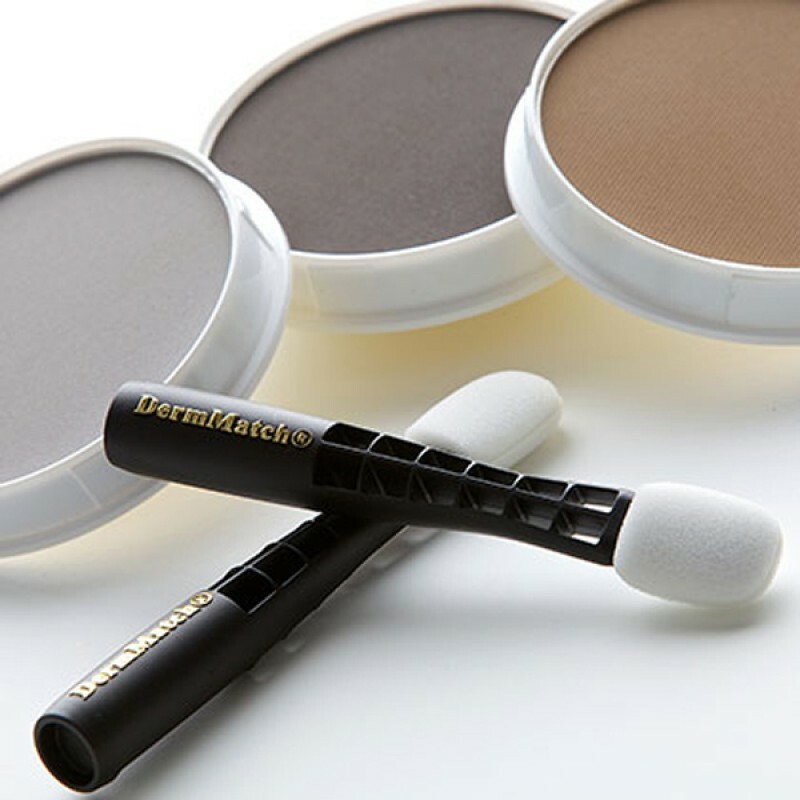 DermMatch colours the scalp to match your hair color causing the scalp to disappear. It also coats thin hairs with botanical thickening agents. The EZ Grip, EZ Reach applicators give you precision control for a perfect, natural hairline. When your application is completely dried, give a good thorough brushing. Hairs coated with thickening agents lift up and spread out for spectacular fullness. Continue brushing to remove any excess powder. Use wet wipes to clean any powder that gets on the forehead or back of the neck. You now have the thickest, fullest hair possible. Any shampoo removes DermMatch completely. No product in the world can make your hair look this thick and full. DermMatch works instantly for men and women of any skin colour, hair colour or hair type. When the area is coloured evenly, brush your hair thoroughly and evenly. 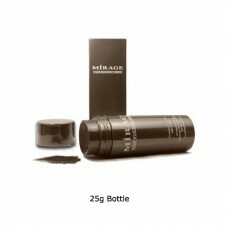 This distributes the thickening agents across thin hairs and helps to even out your colour. Let the formula dry for a few minutes. Frequent brushing speeds up drying. If you blow-dry, use low heat and low wind. If you have shaved, curled, permed, or braided hair and you don\'t normally brush, no problem. You can apply DermMatch dry. When your application is completely dried, give a good thorough brushing. 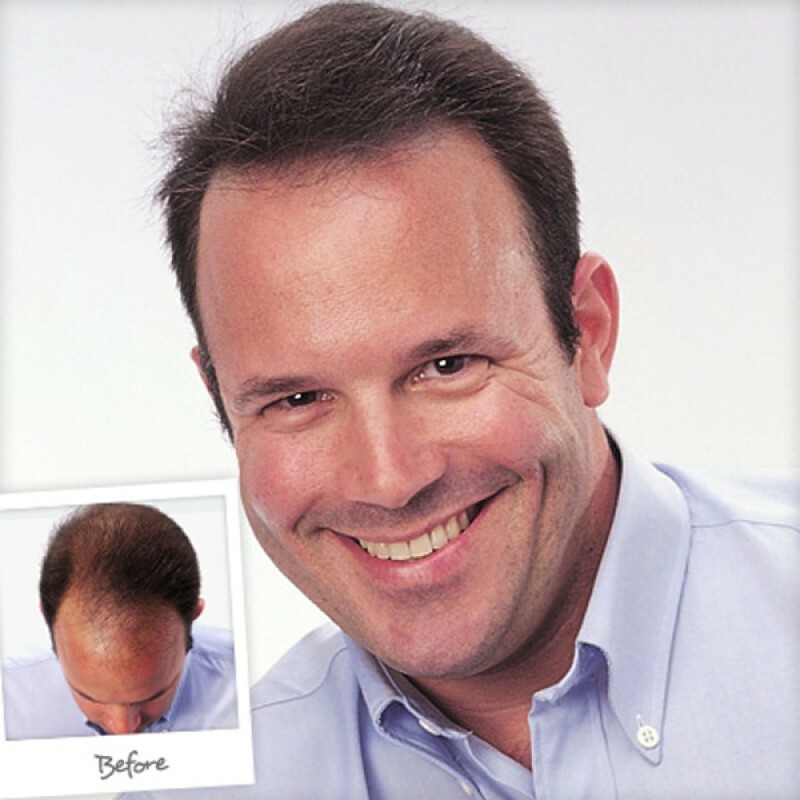 Hairs coated with thickening agents lift up and spread out for spectacular fullness. Continue brushing to remove any excess powder. Use wet wipes to clean any powder that gets on the forehead or back of the neck. You now have the thickest, fullest hair possible. Any shampoo removes DermMatch completely.